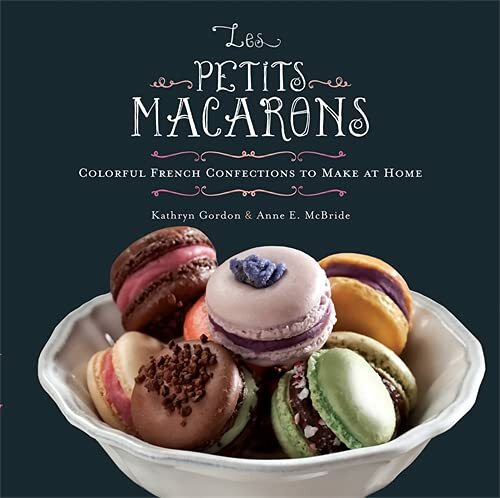 [PDF] Les Petits Macarons: Colorful French Confections to Make at Home | Free eBooks Download - EBOOKEE! Description: Macarons, the stuff of bakersâ€™ candy-coated dreams, have taken the world by storm and are demystified here for the home baker, With dozens of flavor combinations, recipes are structured with three basic shell methodsâ€”French, Swiss, and Italianâ€”plus one never-before-seen Easiest French Macaron Method. Pick one that works for you, and go on to create French-inspired pastry magic with nothing more than a mixer, an oven, and a piping bag. Try shells flavored with pistachio, blackberry, coconut, and red velvet, filled with the likes of sesame buttercream, strawberry guava pate de fruit, crunchy dark chocolate ganache, and lemon curd. Or go savory with shells like saffron, parsley, and ancho chile paired with fillings like hummus, foie gras with black currant, and duck confit with port and fig. The options for customization are endless, and the careful, detailed instruction is like a private baking class in your very own kitchen! All recipes have been tested by students and teachers alike and are guaranteed to bring the flavors of France right to your door. No comments for "[PDF] Les Petits Macarons: Colorful French Confections to Make at Home".